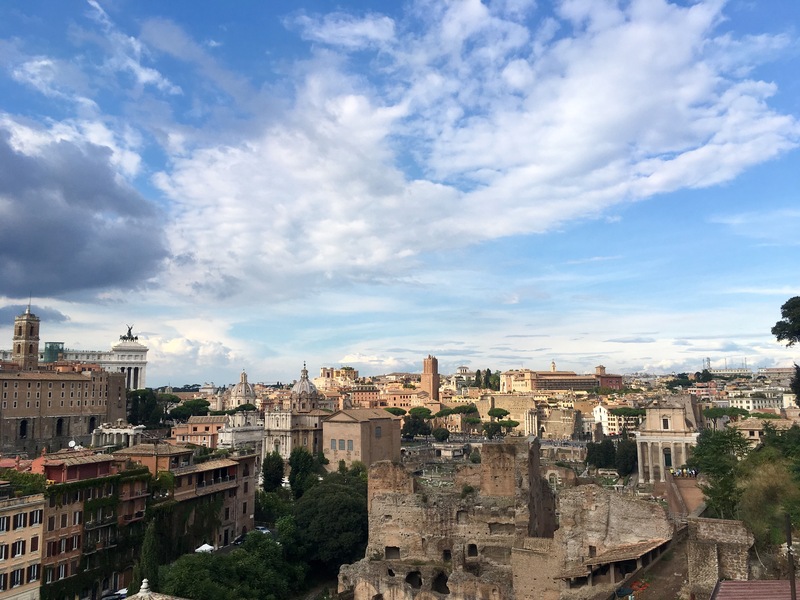 We rounded off our recent tour around Italy in the Eternal City, Rome. 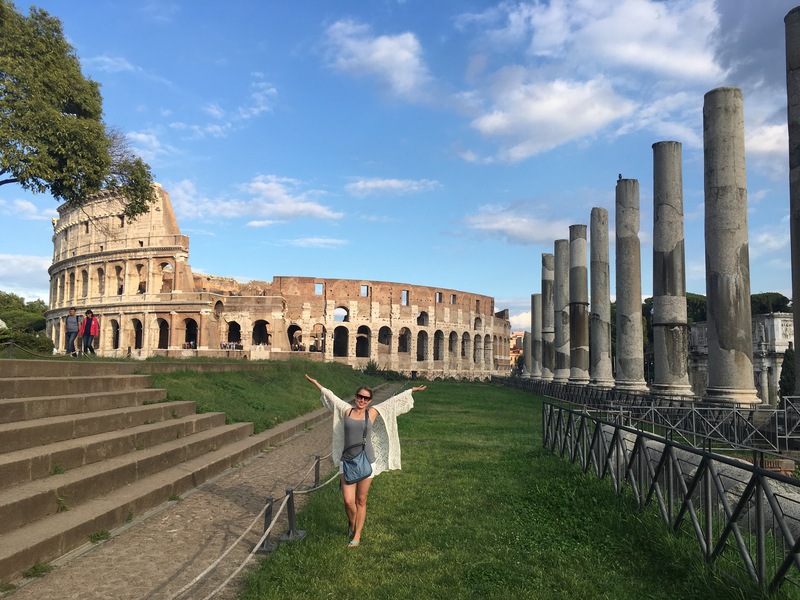 Despite the incredible history, and how, for lack of a better word, “romanticised” this city is, it was not one that was particularly high on my list of dream destinations. I’d heard about pickpocketers, some dodgy doings around Termini station, and the immense crowds of tourists. 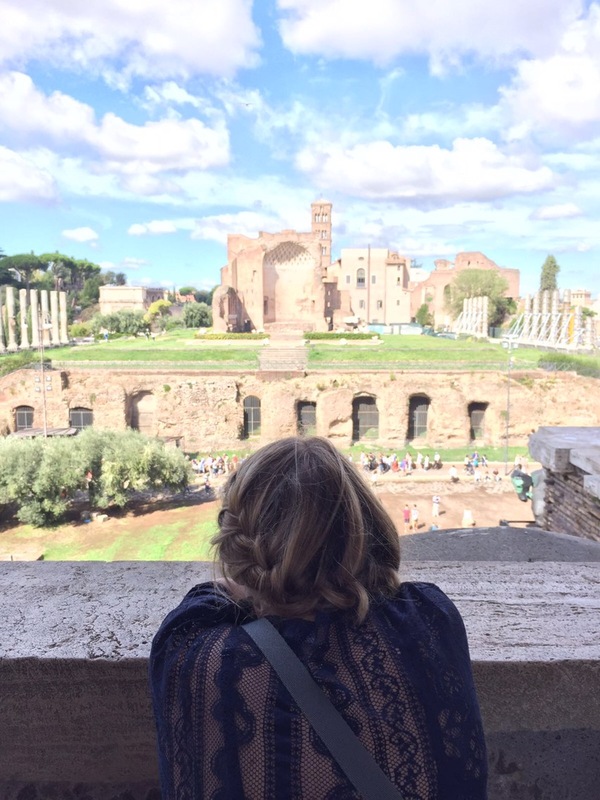 Those things were there, yet the city still won me over, and I was quickly in love with its ancient charms. 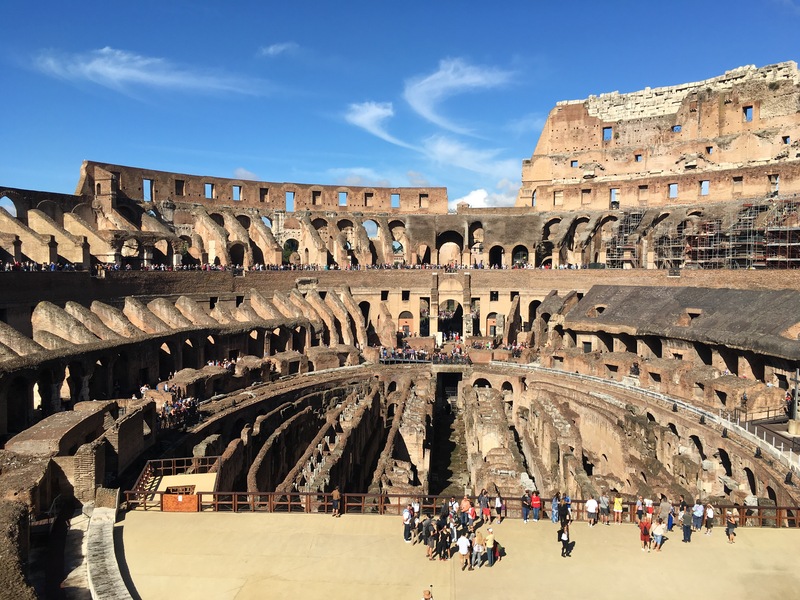 If you are going to Rome for the first time, you’ll almost certainly have the Colosseum at the top of your list. 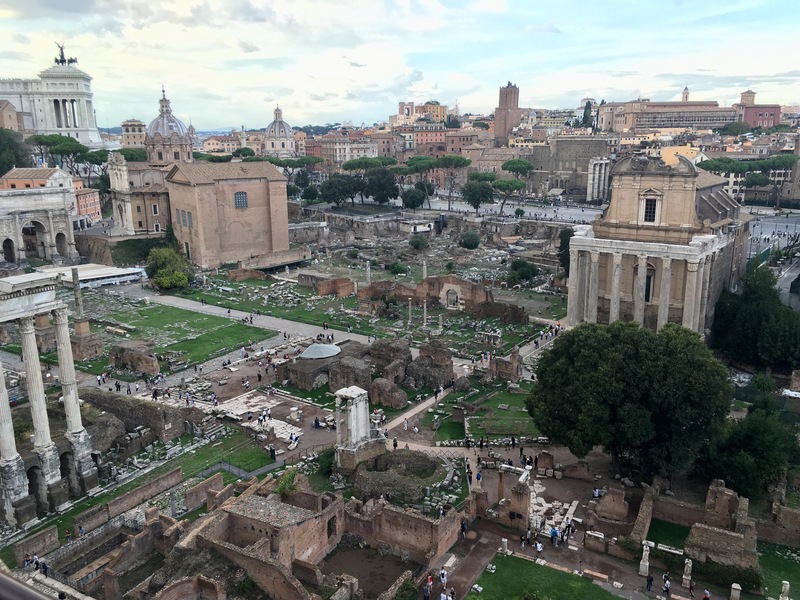 The downside is that millions visiting Rome each year have the same idea, and crowds are to be expected. 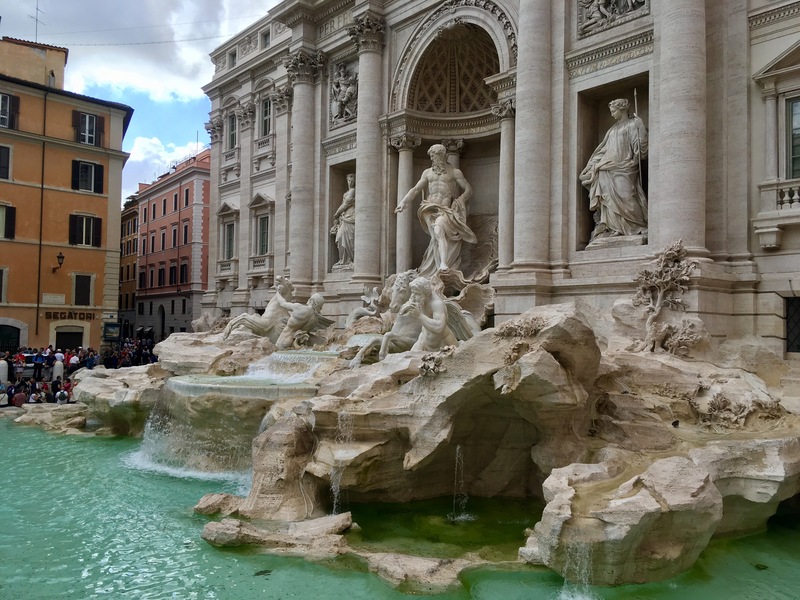 As a result, visiting here on your first morning in Rome, and starting really early could make things less angsty. 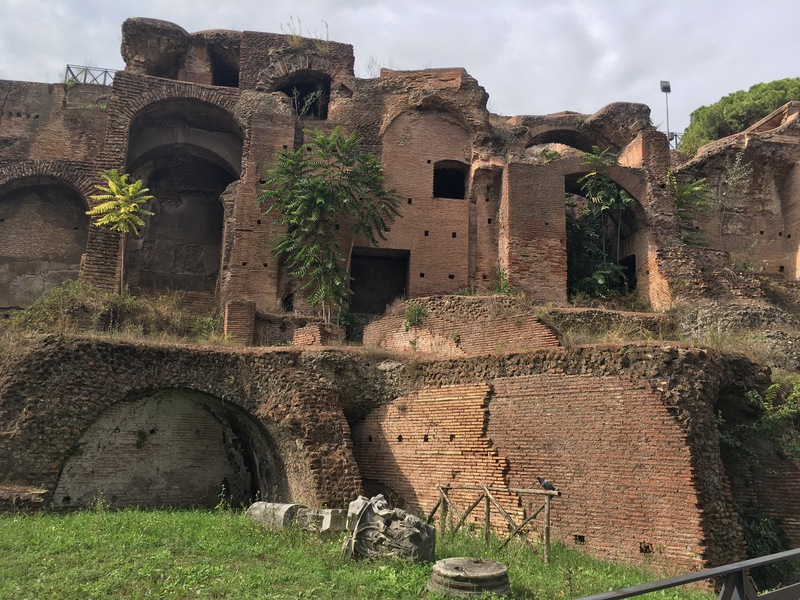 The tickets are €12, are good for two days, and includes entry to Palatine Hill/Roman Forum, but you should book a reservation on your chosen day for an extra €2. Trust me, it’s worth it. You’ll still have a bit of a queue, but it will look minuscule in comparison to the others. We started the day quite early and got there around 8:15, and it was so worth it. We managed to get lots of photos in and, more importantly, actually had the chance to just look out and enjoy getting to see this impressive structure. 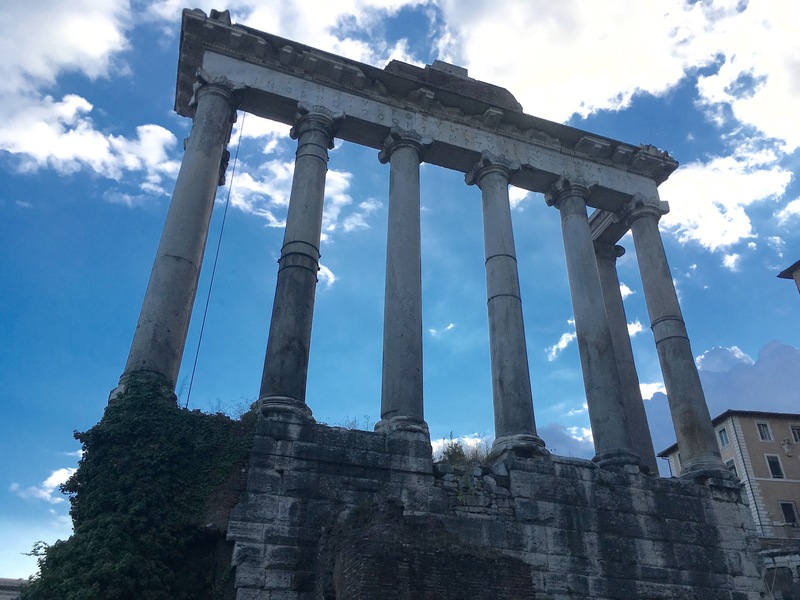 The ancient Roman structure, famed by the bygone days of gladiators, does impress as much as it should, although I do admit that I enjoyed the Roman Forum more. 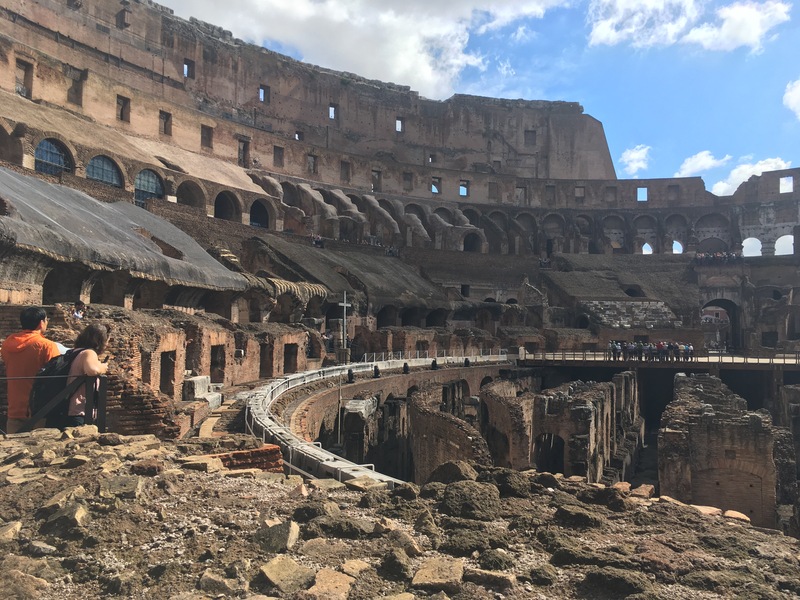 The “Flavian Amphitheater” as it would have been called during its glory days, was named after the Emperor who built it in 72 AD. When visiting, you’ll walk through the upper levels, as well as exploring the levels where men and beasts were kept waiting for the battles above. Keep an eye out for ancient graffiti in the rocks and other bits of information about what it was really like in its heyday. 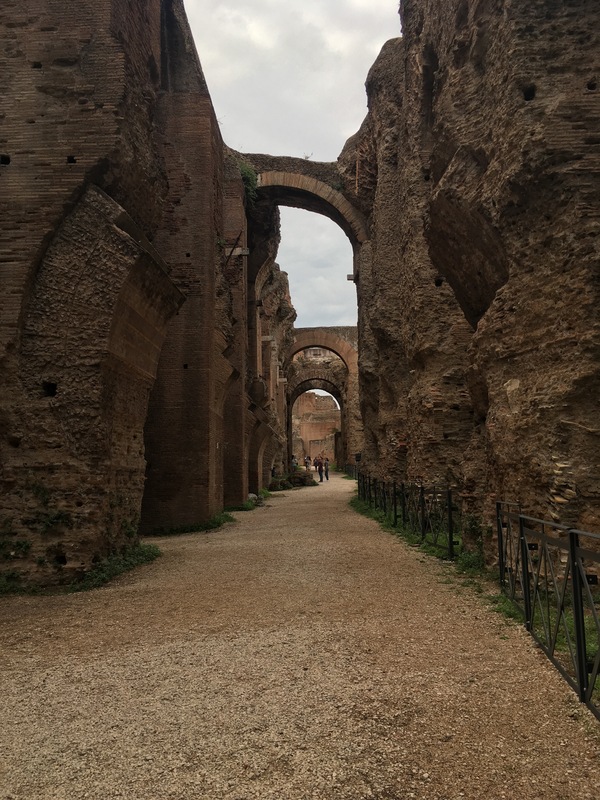 Be wary of your belongings while you explore, pickpocketing inside the Colosseum is common, and we did see someone get their phone stolen while we were there. 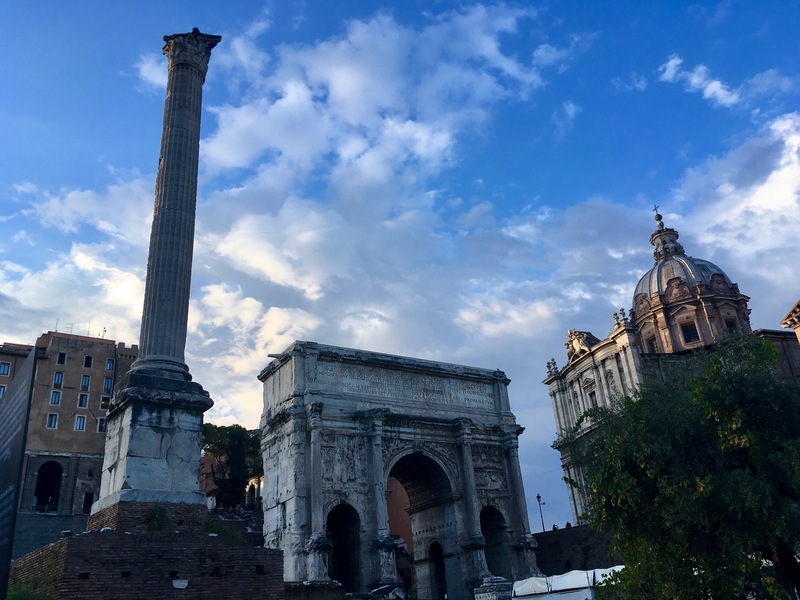 You already have your ticket, so head over to the nearby entrance for Palatine Hill, which will lead you to the Roman Forum. Make sure to allow plenty of time to wander around and explore it all (we were there over three hours, probably closer to four, and that was probably because it was starting to get dark). This, combined with the Forum, was easily my favourite thing we did. The huge amount of space means it doesn’t feel crowded, and it’s fascinating to imagine what ancient Roman life was like before some of these columns started to crumble, with ruins dating back so far, it makes the relics around the UK (which once seemed unfathomably old to my American-born self) seemed recent. 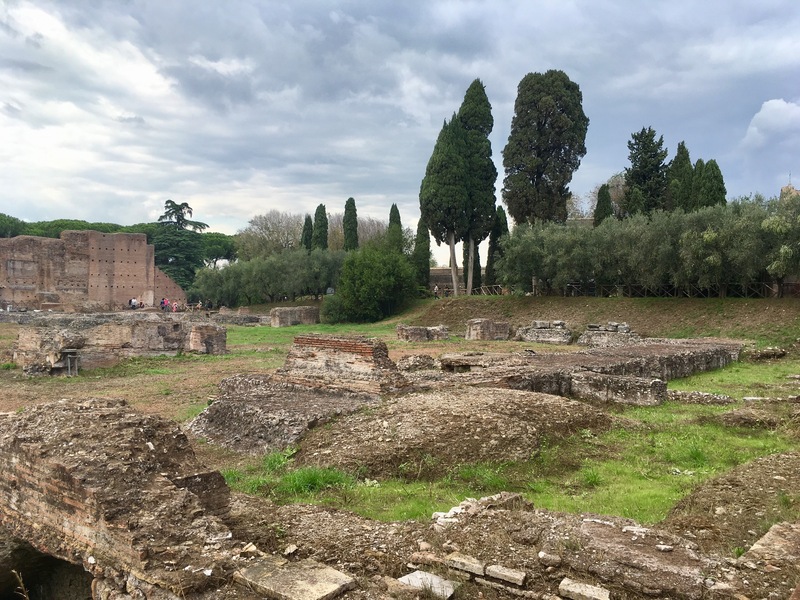 House of Augustus and House of Livia. 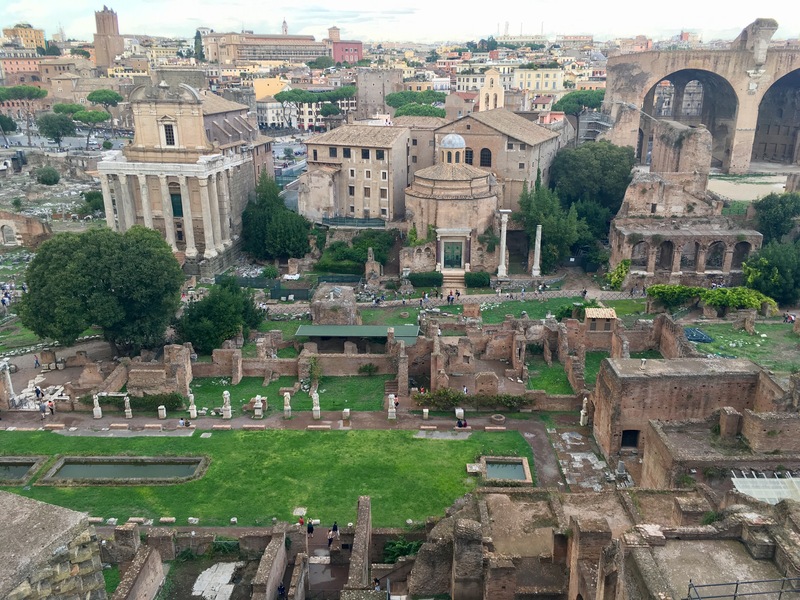 Views of the Roman Forum. 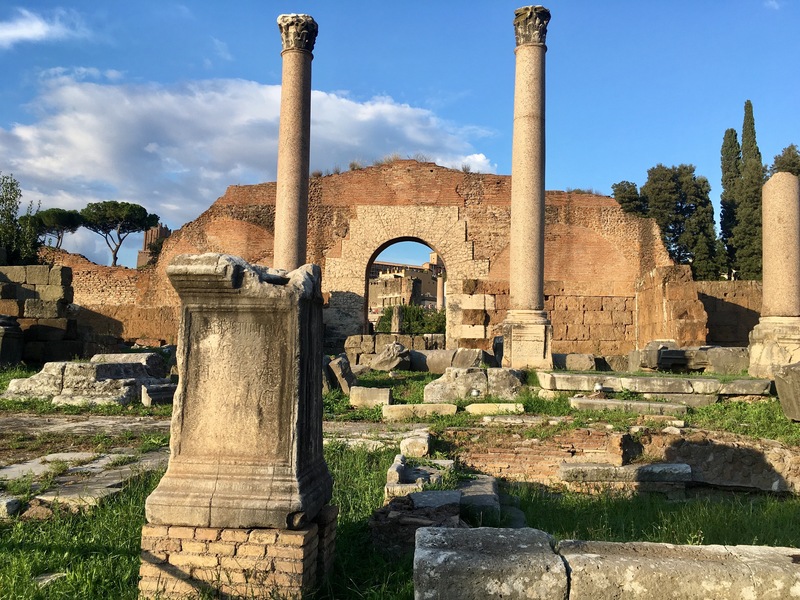 Eventually, you’ll reach the forum, which offers just as many, likely more, archaeological treasures and a peek into what Rome must have looked like in the BC era. We stopped by it twice, once in the day, and then passed back by to see it lit up at night. And it was very crowded both times. The best place to have a quieter look is to the right-hand side, make your way down to the spot where you can drink out of a fountain coming from the wall (the fountain is fed from an aqueduct). And avoid anyone that offers to take your picture! They will either be looking to make off with your phone or trying to con you into buying an overpriced print of their “professional” photos. 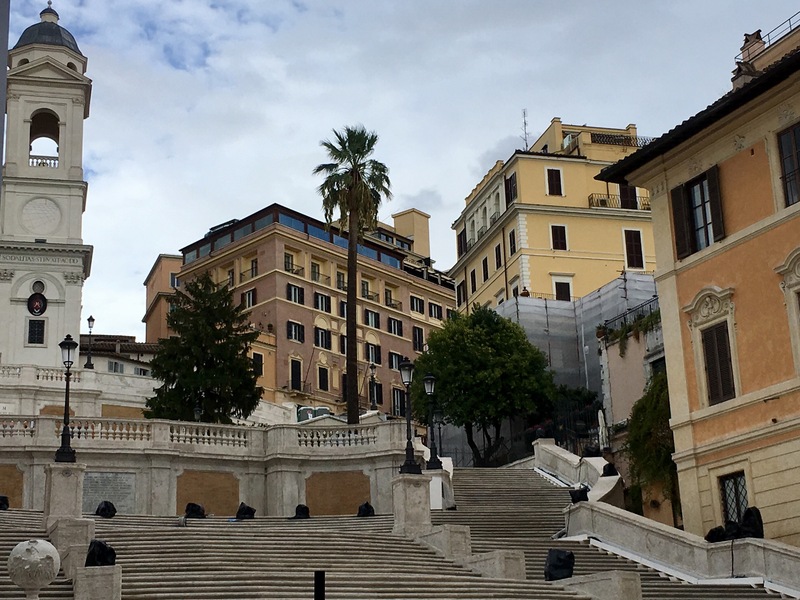 Grab a gelato and head over to the Spanish Steps, located in Piazza di Spagna. 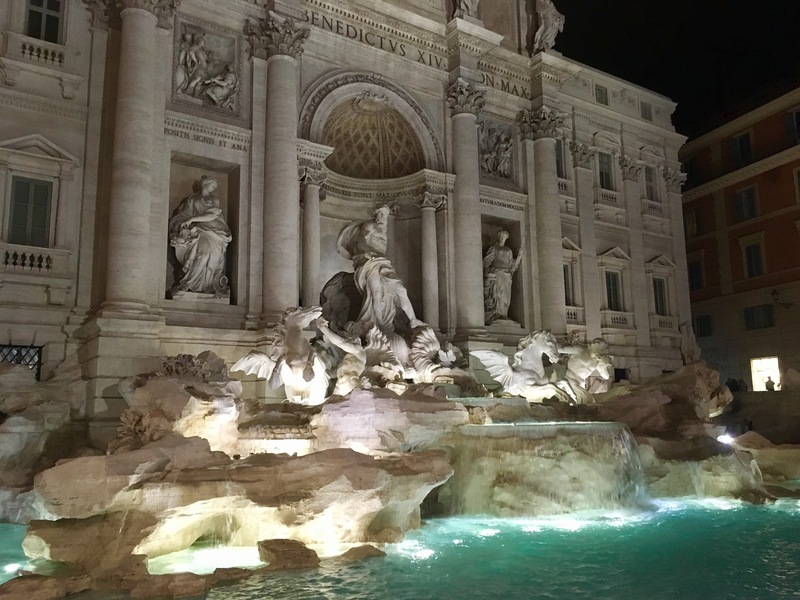 This is the perfect spot to grab a gelato, take a seat, and enjoy Rome. Nearby, you’ll find a full suite of high-end designer boutiques to window shop. 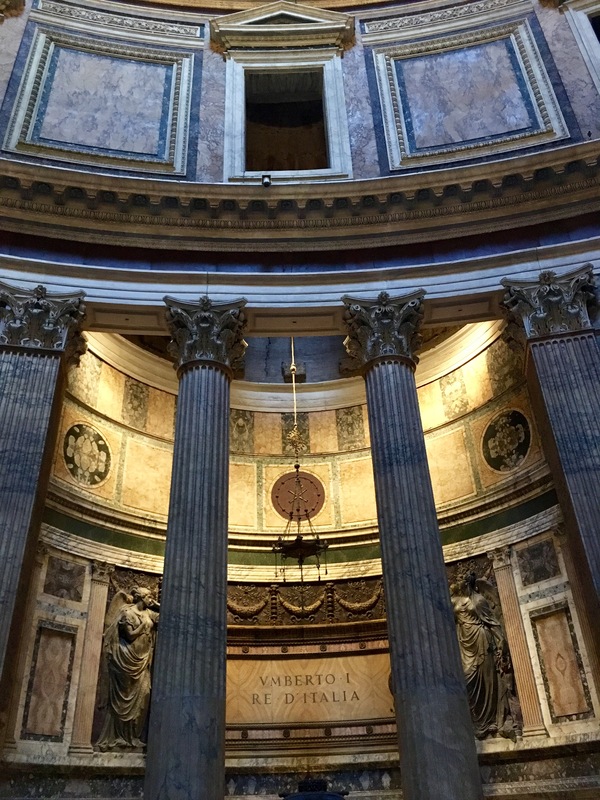 At the top of the stairs, you’ll find Trinità dei Monti. It’s free to go in and explore, just make sure you’re dressed conservatively. I was allowed to enter wearing my sundress covered with a cardigan, but Matt was in a vest top and shorts, and had to stand outside. 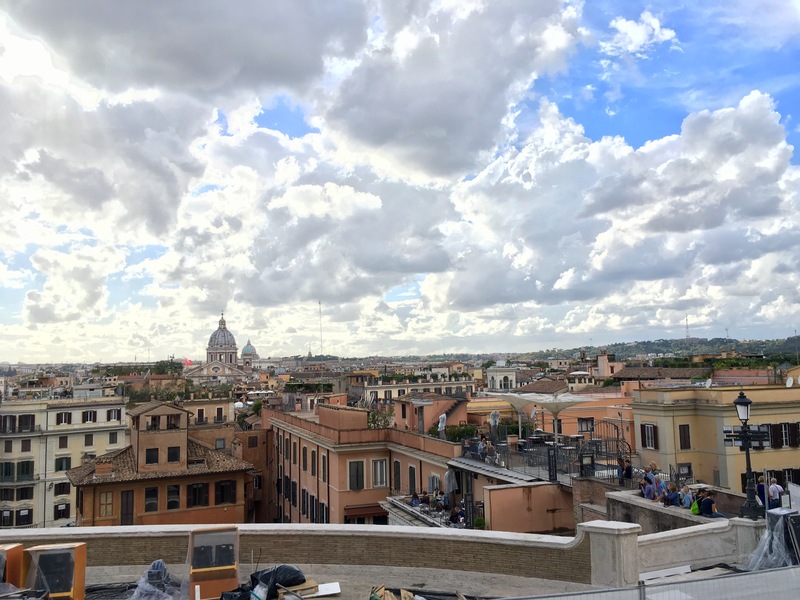 Make sure you take advantage of the view at the top of the steps, in which St. Peter’s Basilica is clearly visible in the distance. 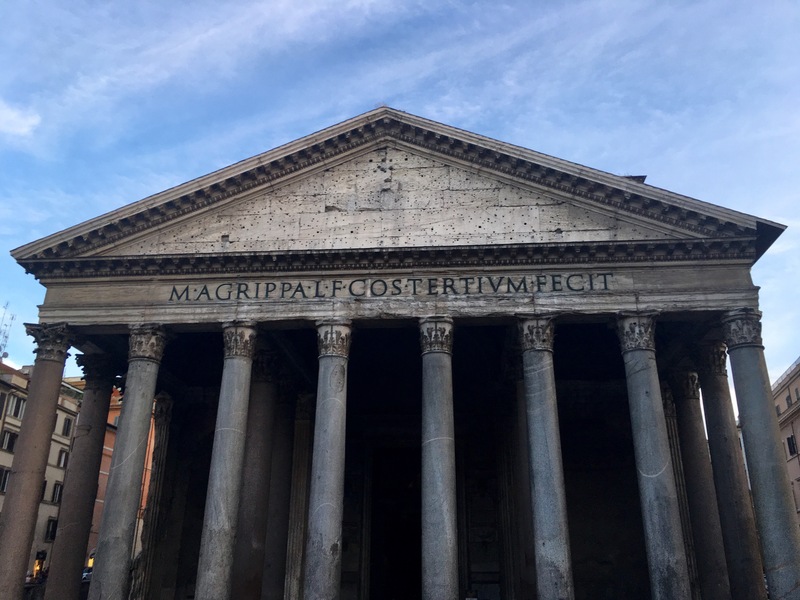 The former Roman temple, now a church, dates back approximately 2000 years and is quite the architectural marvel. 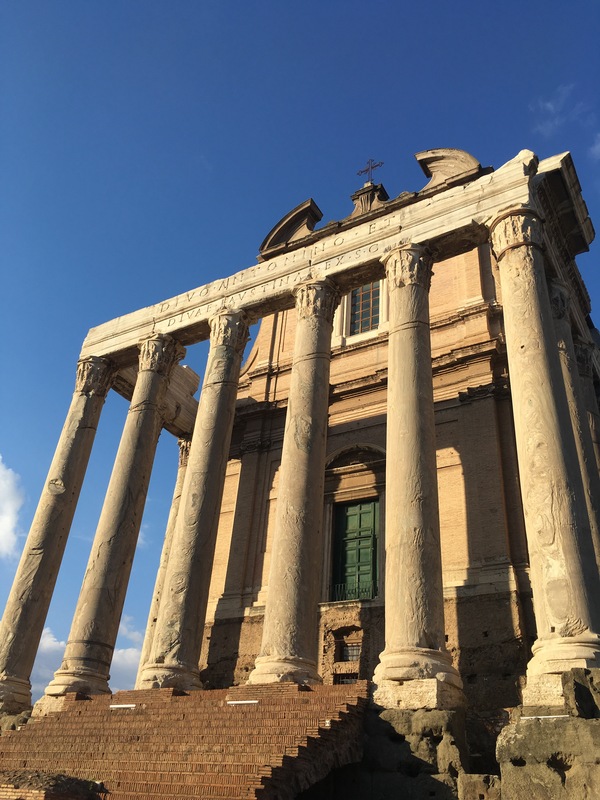 Exactly as high as it is wide, the dome is a perfect sphere resting on a cylinder, and remarkably remains one of the best preserved of the Ancient Roman monuments. 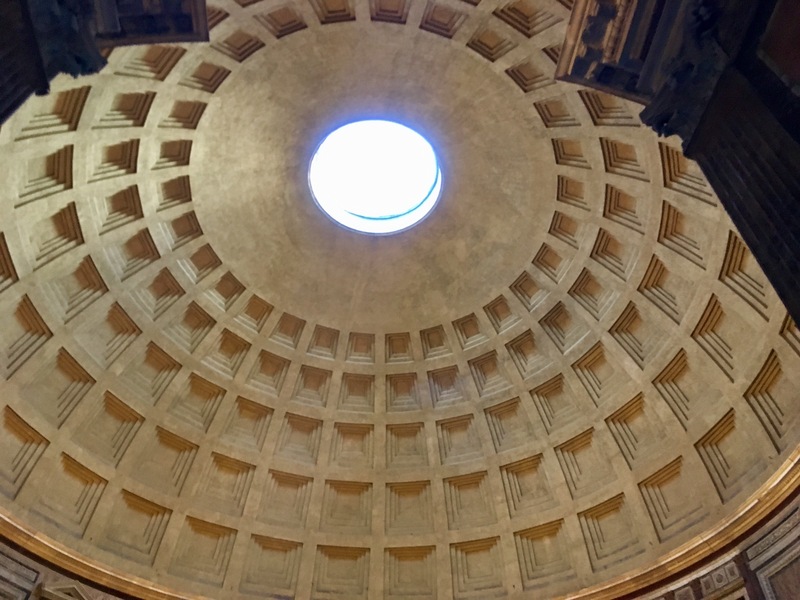 As you enter through the ancient columns, you’ll find yourself in what today remains the largest unsupported dome in the world, topped with the famous circular hole in the middle. We visited in the evening and it wasn’t busy. We were able to take our time wandering around and were able to sit for a while and marvel at what was around us. Even better, there are lots of restaurants nearby, so the timing was perfect. 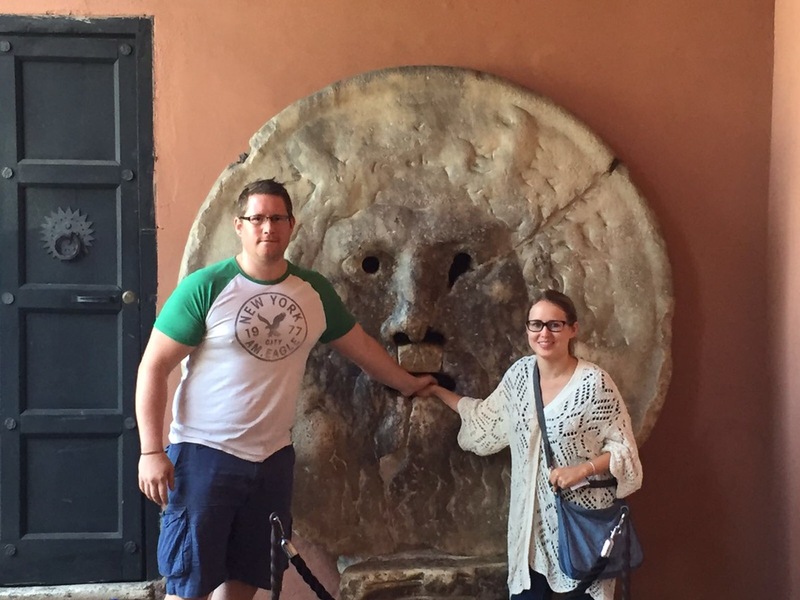 Bocca della Verita, or ‘Mouth of Truth’ in English, sits on the left wall of the portico of the Santa Maria in Cosmedin church. You do end of in a touristy queue, but it is a fun photo opportunity. 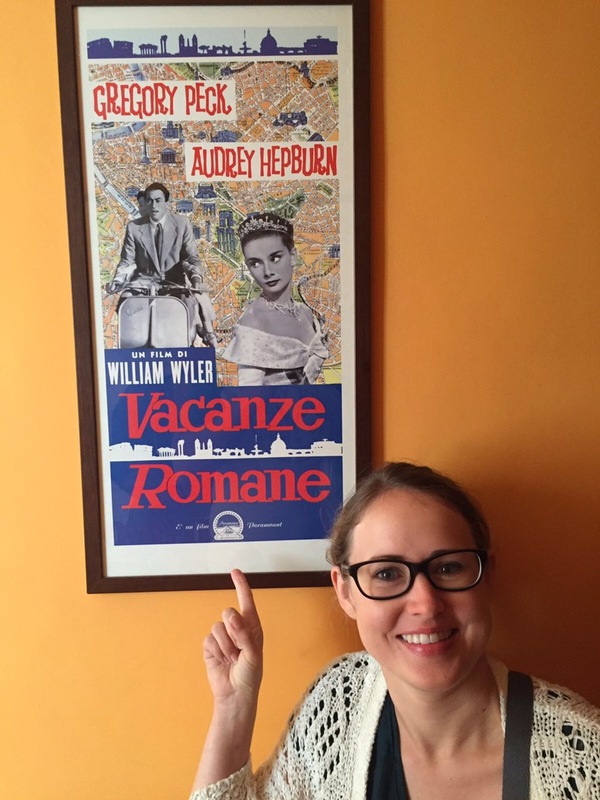 It is most famous from the scene in the classic film Roman Holiday featuring Gregory Peck and Audrey Hepburn (and as a big Hepburn fan, I had to go and get a picture). Legend has it that if you place your hand in the mouth and tell a lie, it will bite your hand off. In reality, it seems to be unclear what the disk was originally used for. While we were there, we explore the inside of the church and down to Hadrian’s Crypt. 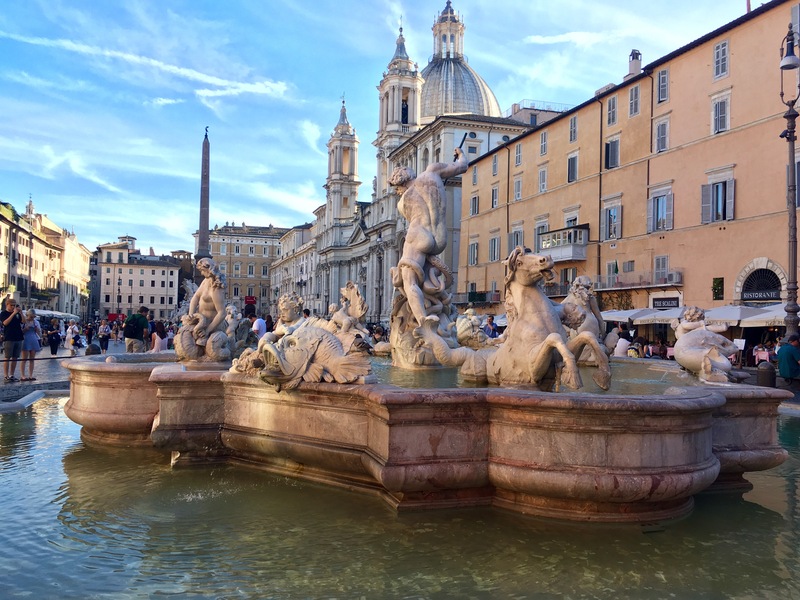 A gorgeous square lined with chic cafes and restaurants, Piazza Navona is flanked by showy fountains, impressive statues, and elegant buildings. 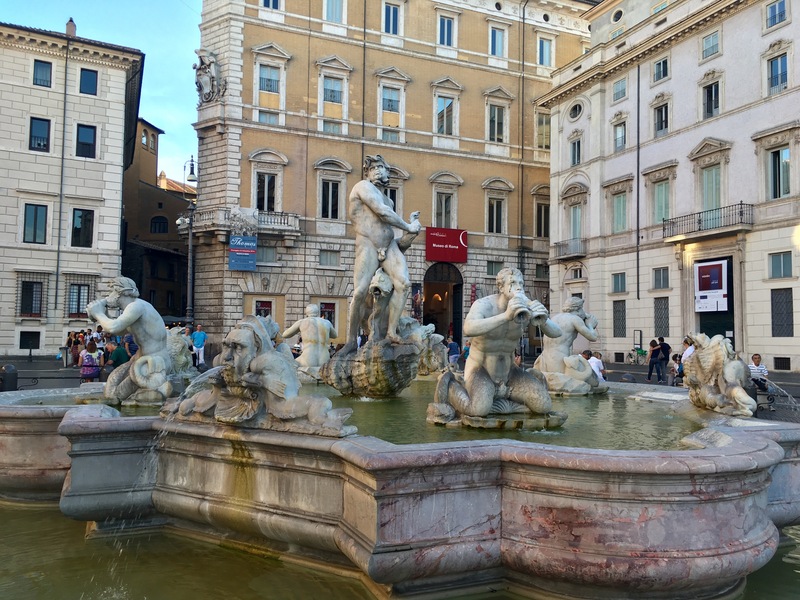 In the centre, you’ll see the extravagant grand centrepiece: Bernini’s Fontana dei Quattro Fiumi, an ornate fountain featuring an Egyptian obelisk and personifications of the rivers Nile, Ganges, Danube, and Plate. 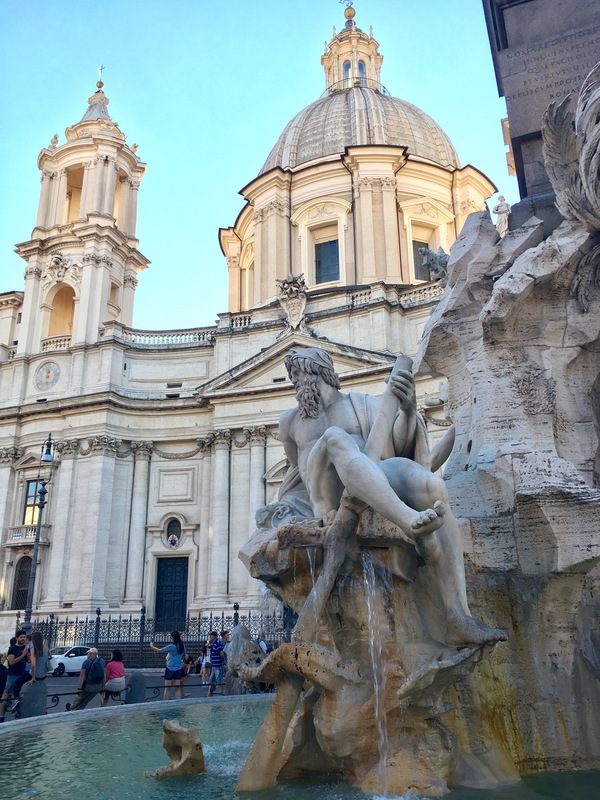 To either side, The Fontana del Moro and Chiesa di Sant’Agnese in Agone mean there’s no shortage of photo opportunities in this square. Grab dinner, or even just a gelato, and watch the world go by. Expect there to be a few street performers, there was quite a crowd for a Michael Jackson impersonator when we passed through. 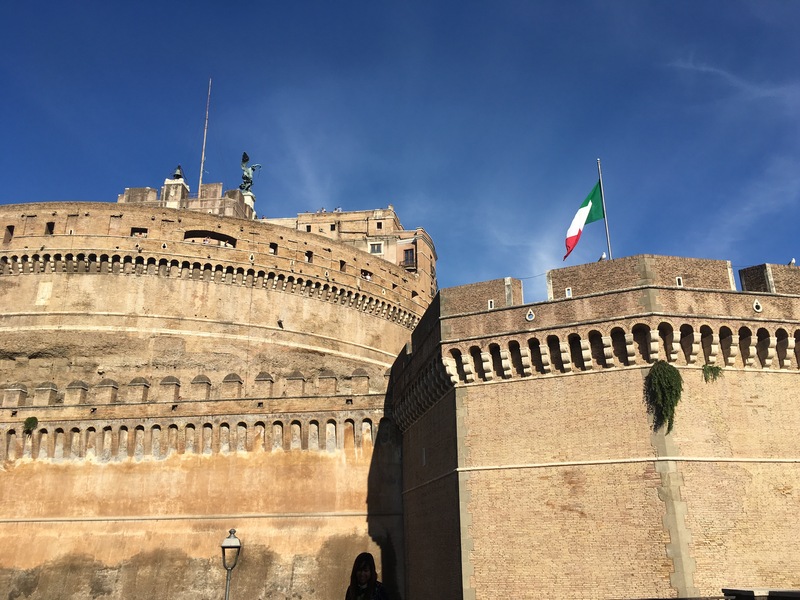 Near the Tiber River, this imposing, circular structure was originally built as a mausoleum for Emporer Hadrian. You tour the inside, which features a collection of paintings, sculptures, military memorabilia, and medieval firearms. 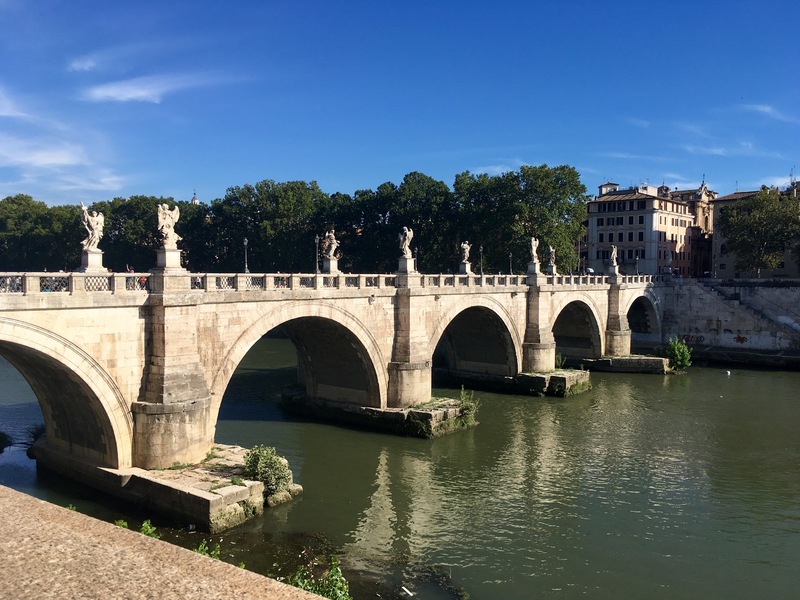 While you are in the area, make sure to take a stroll along the Tiber, taking in the scenery and checking out the market stalls that dot the river’s bank. While this isn’t a definitive list of everything there is to see and experience in this city, it should help if you are on limited time.